Ah, St. Patrick’s Day, that most alcohol-soaked of holidays. In its honor, I’ve collected several bourbon-based cocktails to help you celebrate. Mix them yourself or make a request of your favorite bartender. Just remember this request from The Bourbon Babe: Please don’t press the luck of the Irish and drive home after too much celebrating. Designate a driver or call a cab. 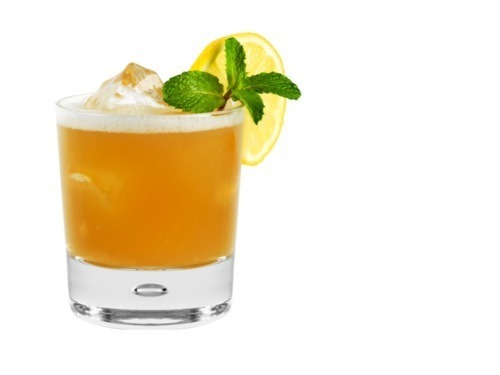 New York bartender Julie Reiner created this seasonal sip with Jim Beam’s Basil Hayden. 1. Combine all ingredients in a mixing tin and shake without ice to blend. 3. Strain over fresh ice in a double rocks glass and garnish with a mint sprig and a lemon wheel. Combine, shake over ice and strain into a chilled glass. Garnish with 3-4 leaves of mint floating on the top of the drink. You could also just simplify things and have a shot of Irish whiskey, or a pint of Guinness or Beamish – Harp or Smithwick’s if you’re looking for something lighter. If you’re looking for green beer, well, I can’t help you.